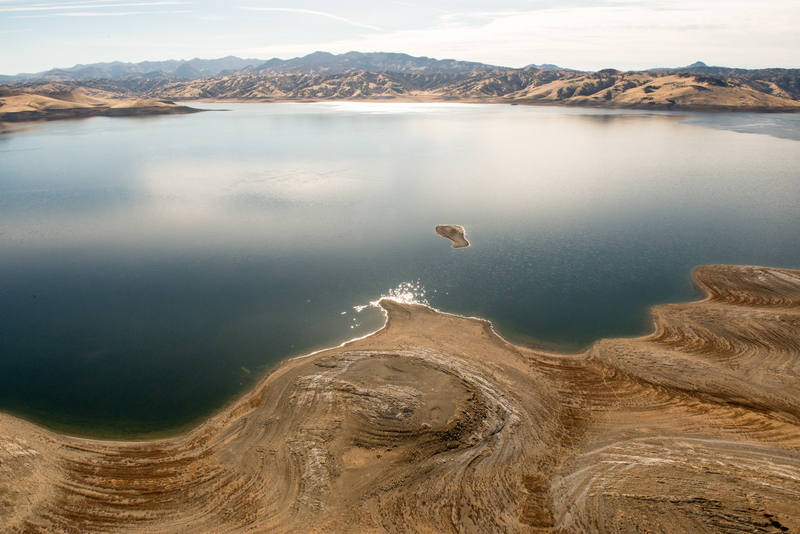 San Luis Reservoir during the drought in California, February 5, 2014. Spoiler Alert: From Chapters 19 through 21 of Octavia Butler’s Parable of the Sower. The galaxies move through space. An earthquake hits and people on the road start looting and attacking damaged communities along the way. Lauren’s band picks up two more refuges. The group passes through Salinas. They have traveled over 200 miles from Santa Barbara, and over 300 miles since Lauren left her home about a month ago. 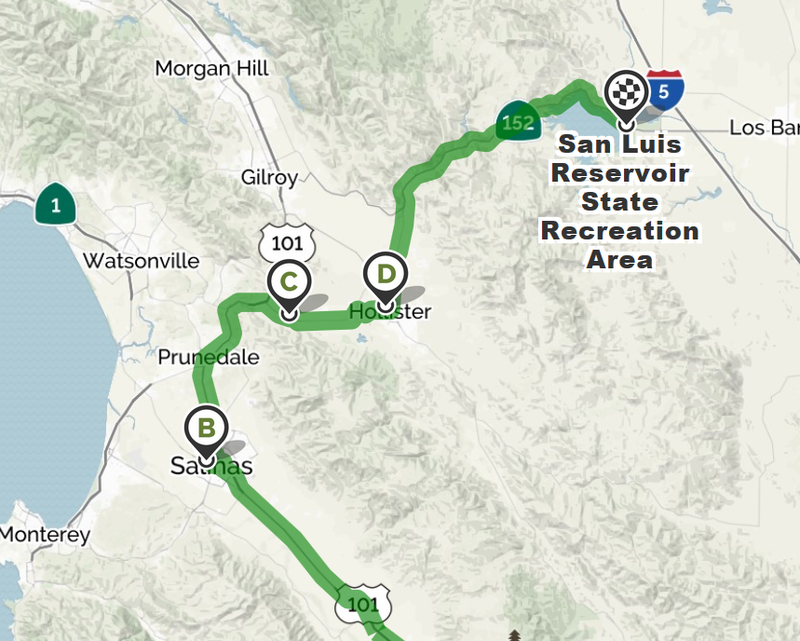 The group leaves the 101 and then takes a small, hilly road that is a short cut to San Juan Bautista and to Hollister. The group is attacked in the night. They adopt an abandoned child. They then head east along State Route 156 to 152 to Interstate 5, which they intend to use to circle around the Bay Area in order to avoid the cities. On their way to I-5, they pass a freshwater lake, the San Luis Reservoir. The group spends the night in a recreational area that I-5 passes through. Lauren has walked 371 miles from her home in the northern suburbs of LA. “Began to invent Earthseed,” he said. “Began to discover it and understand it,” I said. “Stumbling across the truth isn’t the same as making things up.” I wondered how many times and ways I would have to say this to new people. “You think it’s simple?” I asked in surprise. “Not around me they won’t!” I said.